I was looking for a new car and had seen a possibility in Richmond. 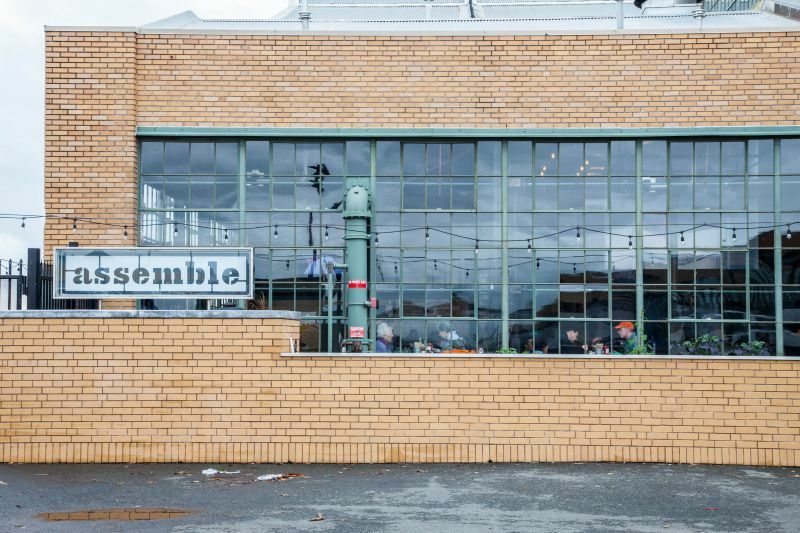 It seemed appropriate, therefore, to eat at Assemble, a restaurant in the boiler room of the old Ford factory on the waterfront in Richmond. 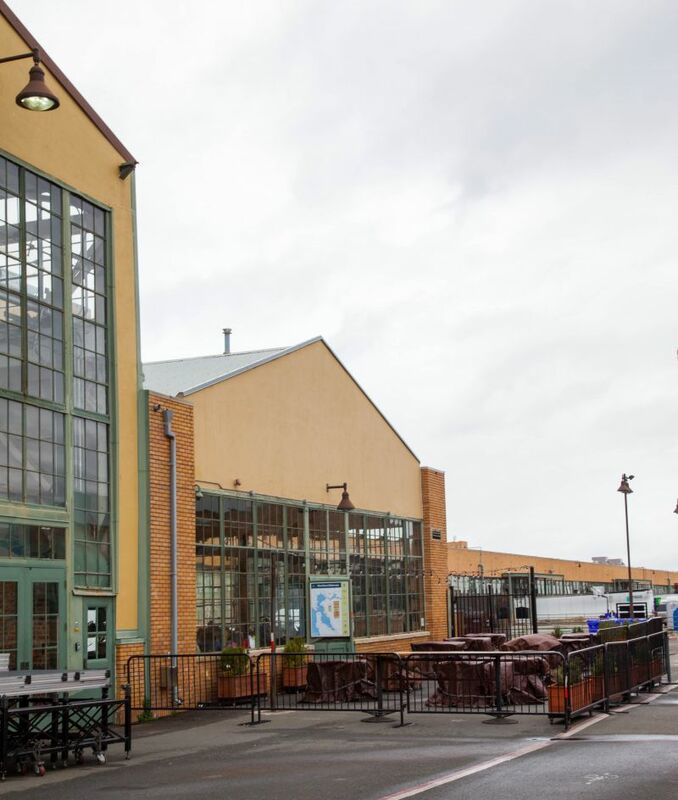 The building has also been a film star, appearing in Francis Ford Coppola’s movie “Tucker”. The views across The Bay would have made patio dinning our preference, but we were there on a day in which a cold wind was blowing off the water and there were frequent downpours. 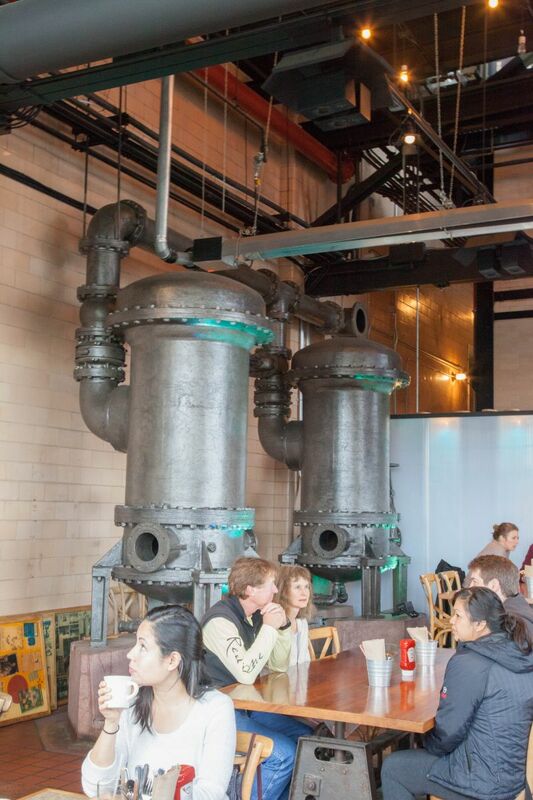 Inside, Assemble uses its industrial heritage to great effect in its decor. The place was fairly full, but we had no wait for a table. 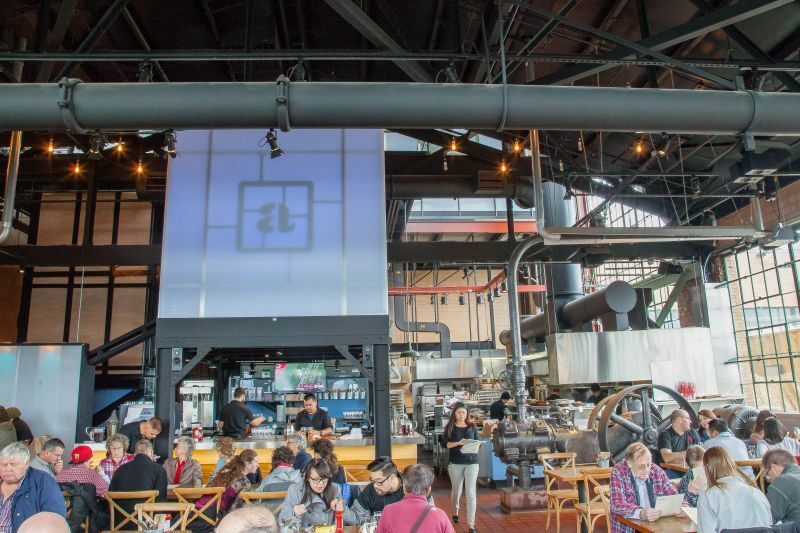 We were there around noon on Saturday and Assemble was offering its Brunch menu. California Girl comments: I loved the look of the building and the reuse of the property. It was a little hard to find as it isn’t sign posted well, and you have to go into the gated complex to enter. The views from the place were absolutely stunning. I could imagine it being gorgeous sitting out on the patio area in the summer enjoying lunch. 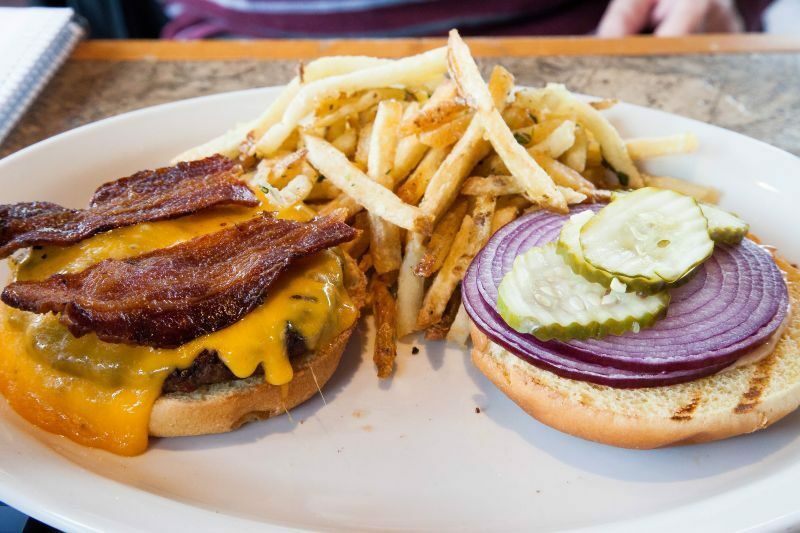 I ordered the Jasper, a fancy name for a bacon-cheese burger. 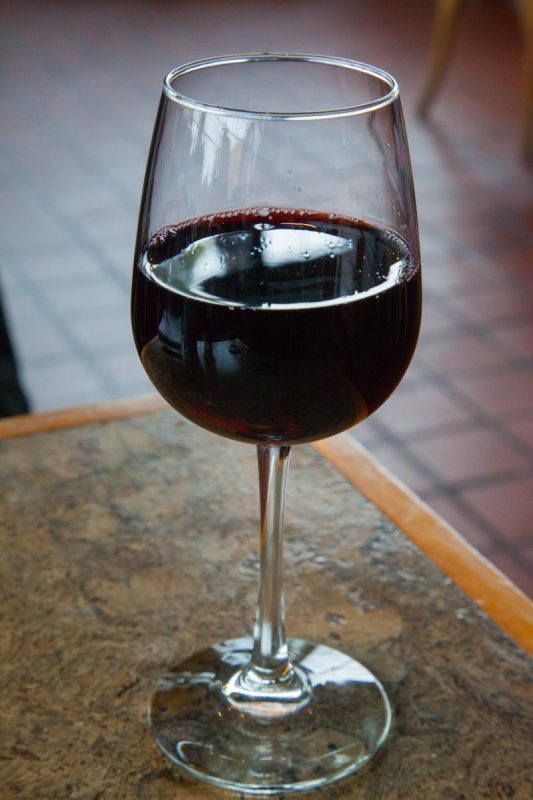 To drink I decided on a glass of a Tempranillo from Bokisch in Lodi. The wine’s nose was fairly closed when the glass arrived, but I could detect notes of blackberry. Once I started to drink I tasted a light, easy drinking wine, with distinct flavours of strawberry. There was a slight sweetness, but there was no lingering finish. The wine is sold by the winery for $23; when we next go to Lodi, this wine and the rest of Bokisch’s line-up intrigue me enough for us to visit. The burger was slightly over-cooked and the meat was indifferent. This was in sharp contrast to the excellent toasted bun, crispy bacon, crunchy onions, and a creamy thousand-island sauce. The fries were fine, but looked better in the photograph than they tasted. California Girl comments: I ordered the loaded potato soup and a side of fries. I don’t normally order fries for myself but they were described as “truffle and herb fries”. 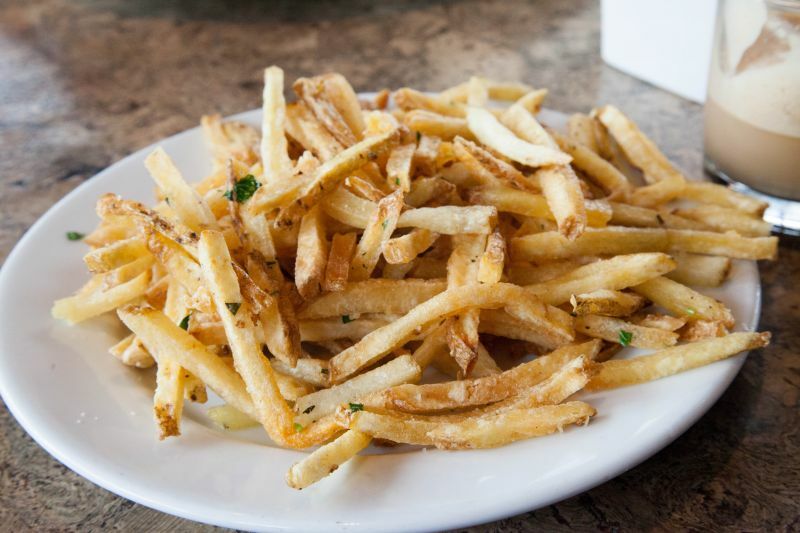 I love good truffle fries and ordered them with excitement. Unfortunately my truffle fries tasted of no truffles and all herbs. They weren’t even cooked well or served hot. I was very disappointed. When I bit into my soup, again I was disappointed. 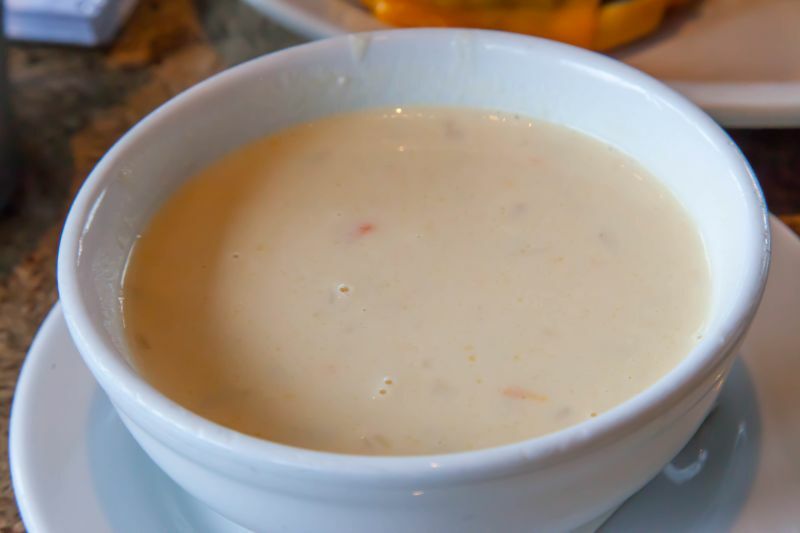 With a name like loaded potato soup you would imagine it to be well, loaded. Instead it was a thin soup with not much in it and it was served luke warm. I had to ask the server to heat it up. The flavor was fine but it was really disappointing to me. Still, the service was friendly and attentive and I really enjoyed the entire “vibe” of the place. I could totally see us taking our 12 year old nephews there for a casual meal, just as a bit of historical fun. In summary, this is not a place that we would recommend that you seek out. 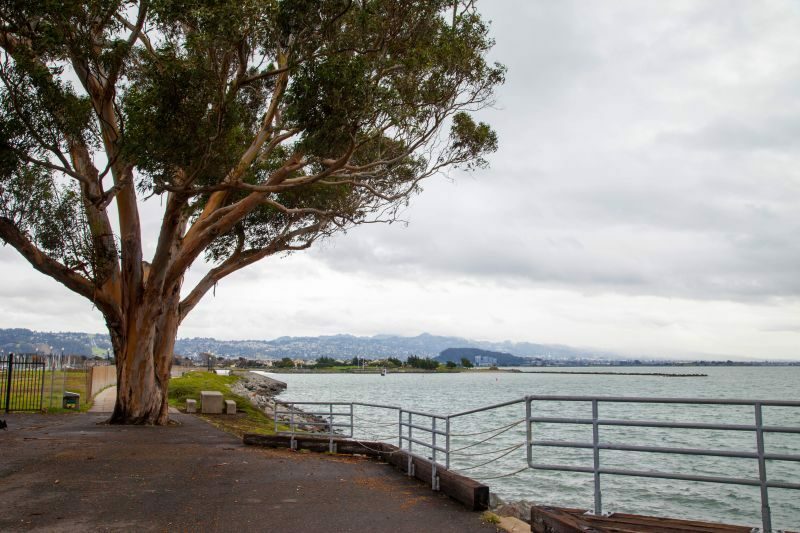 If, however, you are there to work the trails or visit the “Rosie the Riveter, WWII Home Front Museum”, its location makes a quick-lunch worthwhile.